Cory is a dynamic angler, from farm ponds to coastal flats, from kayaks, wading to center console boats, he has a natural ability for finding and catching fish. 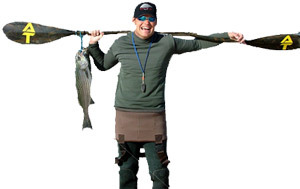 He is comfortable with fly fishing techniques, as well as light tackle. 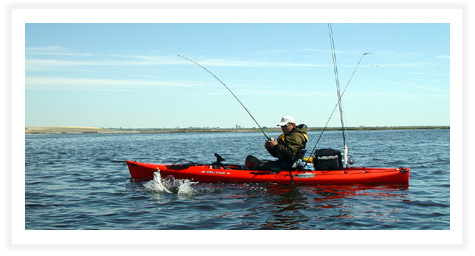 He is an active member of fisheries conservation movements when he is not paddling on the water or at the keyboard writing kayak fishing articles, working on his upcoming kayak fishing book or guiding kayak trips in and around the Virginia Beach, VA area.. He holds a Bachelor of Science Degree in Marine Biology and is the former coordinator of the Virginia Saltwater Recreational Fishing Development Program, where he earned recognition as a forward thinker in conservation and was awarded the Virginia Marine Resources Distinguished Service Award.